We got mad love for Subaru and Trek as separate entities. But as a partnership, the Subaru-Trek marriage truly embodies the ultimate auto/bike experience. 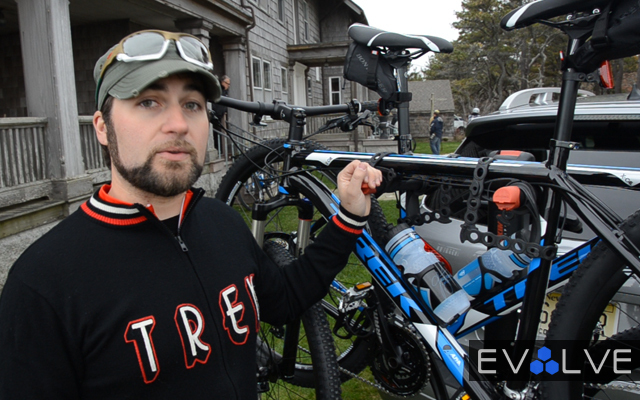 The Japanese carmaker invited us out to Maine a while back for some outdoor adventuring and hooked us up with Trek Bicycle Store specialist, Peter Meade, who showcases the company’s latest car-bike rack. Watch as he demonstrates how to securely (and easily) strap your mountain bike onto a Subaru whip. Tricks of the trades, my friends.